Hmr lignans come from Norway Spruce trees. 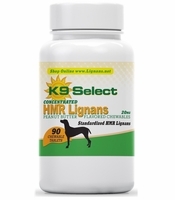 They are powerful antioxidants that are often recommended as a first option for canine Cushings disease due to their ability to effectively reduce heightened cortisol levels. Many studies indicate that people with high amounts of lignan in their bodies have better reproductive organ health. 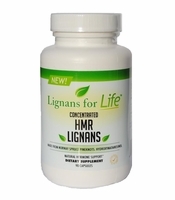 ** There are numerous other studies that indicate improved health from lignans and their hormone balancing properties. 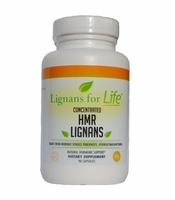 Our HMR Lignans (7-hydroxymatairesinol) have 90 vegi capsules per bottle. 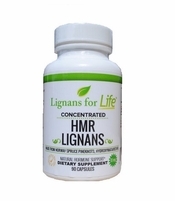 We offer HMR lignans in 40 mg, 20 mg, and 10 mg dosages. 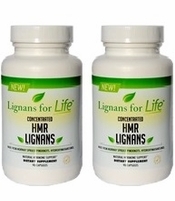 For more information on HMR Lignan benefits for both people and dogs, click on any product below.